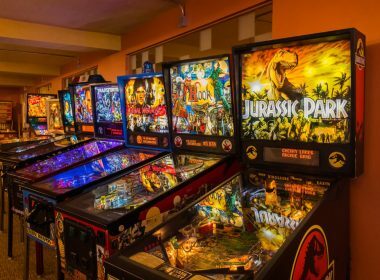 Hip Eatery Meets Vintage Arcade at Recbar in Jeffersontown where there is vintage pinball fun, cold brews and food to go along with the lights and sounds! 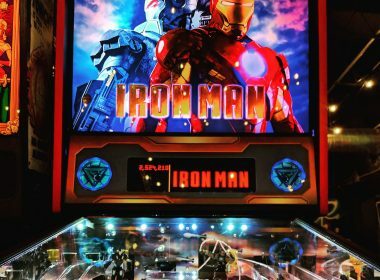 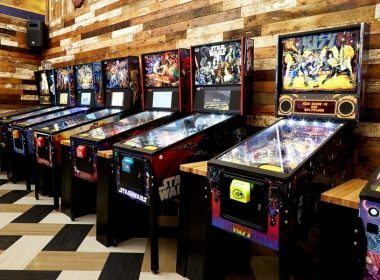 St. Paul Tap Barcade brings pinball and brews to West 7th offering six consoles, eight table-top games, nine pinball machines and 25 arcade games. 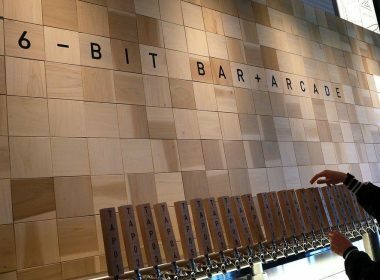 Cherry Lanes Arcade Bar Now Open after long remodeling effort is complete, and a historic Sturgeon Bay location has been given new life on Fourth Ave.
16-Bit Bar+Arcade joins sister business Pins Mechanical in Dublin owned by Rise Brands and celebrated its grand opening Nov. 13. 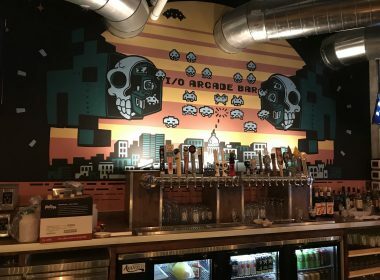 This past Thursday, November 8, Madison welcomed a new arcade bar, I/O Arcade Bar, which opened at 720 Williamson Street. 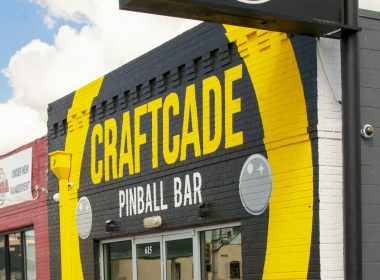 Craftcade’s rather masterful mix of good booze and pinball tempts guests into snagging more tokens for the machines.